As a decorative artist I have spend most of my working life acquiring, perfecting and developing my gilded and decorative finishes. 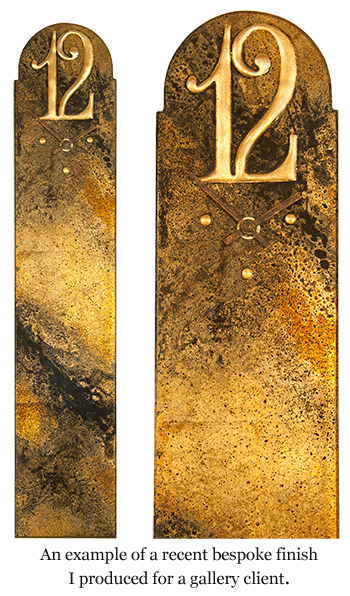 It is this ability and the range and quality of these finishes that distinguishes my work from what you see on the High Street and other decorative artists work. Unfortunately due to the limitations of the web and my ability as a photographer I'm unable to capture the true quality and subtlety of these finishes. 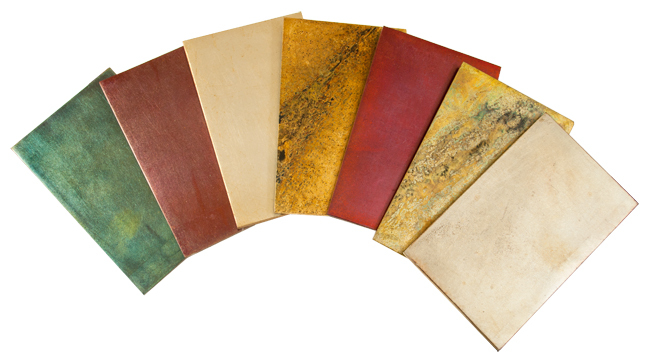 With this in mind I've produced a number of small (15 x 8cm) sample boards different finishes that I can despatch to you to give you a clearer idea of the finish(es) you are interested in. I must point out that as small sample boards they are still no match for the real thing as they do not afford me the opportunity to create the depth and tonal gradation you find in the crevices and carved detail of an actual artefact. If you'd like to see a sample of a specific finish(es) before ordering then please contact me and I'll despatch a sample to you. Order a sample. Please note: I will require a £3 deposit for each sample board which will be refunded so long as it is returned in good order. As you will have deduced from my website I offer a wide range of gilded finishes along with a selection of paint finishes. If you have seen a finish that you like and would like me to apply it to another artefact in my collection then please let me know and I will let you know if it is possible. If you are after a specific finish then please contact me by e-mail or phone and let me know the sort of finish you require and I'll let you know whether I can create this finish. Where I am able to reproduce the finish I can work up a sample of the finish so you will know exactly what the finish will look like.